Lawn Fawn does not seize to impress my cuteness meter with their stamps. 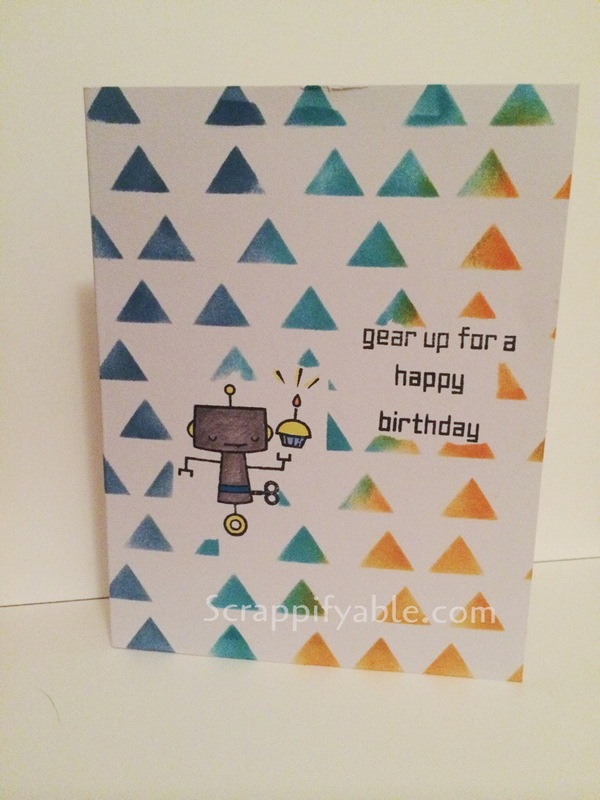 I am loving the new Beep Boop stamp set and decided to pair it with the Kelly Purkey triangle stencils and Distress Inks. 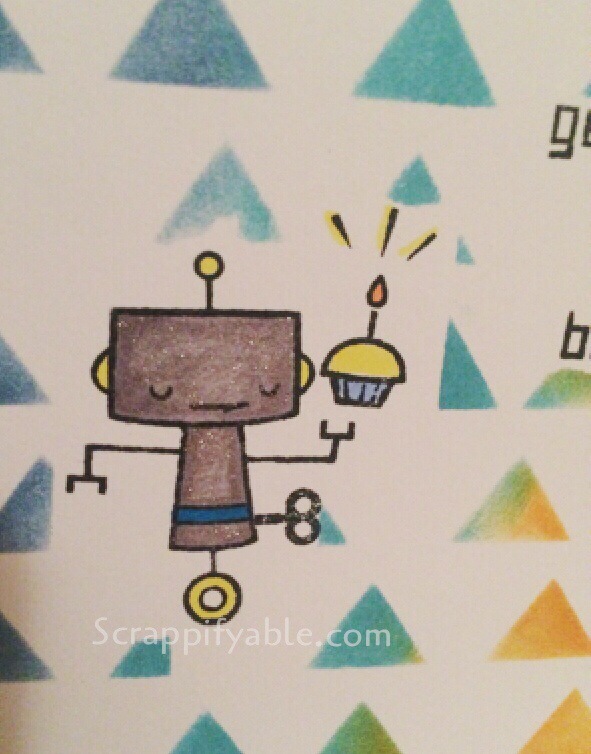 2) I placed the stencil over the card and started using the darkest to lighter color using the sponge daubers. Don’t worry about the color mixing…it gives it a great blended look. 3) I removed the washi tape, and finished the look with the Sakura Gelly roll pen over the main image.